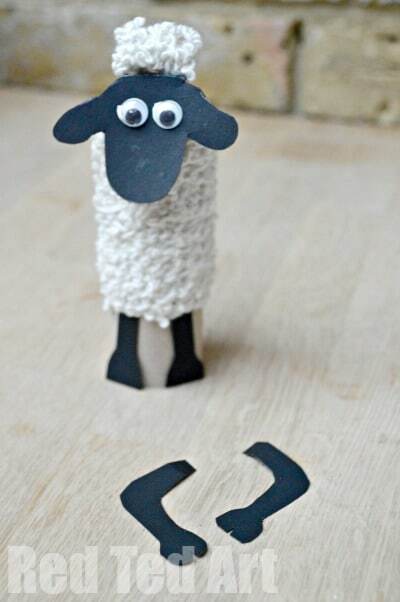 We are HUGE Shaun the Sheep fans! 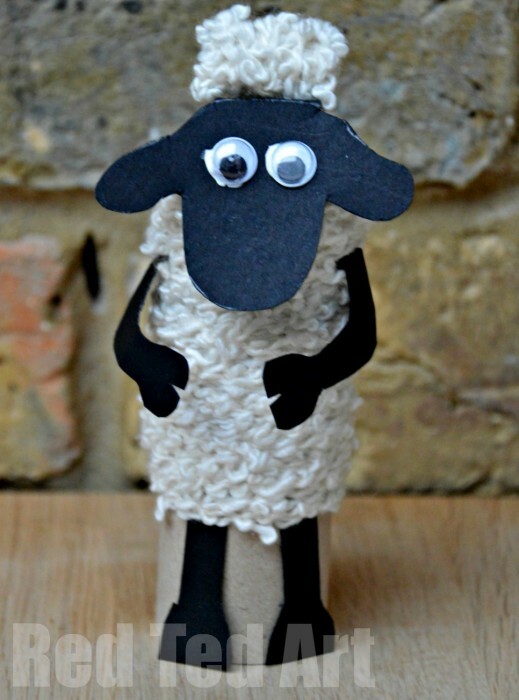 And as the new Shaun the Sheep Movie out, we felt inspired to get crafty… and once again our favourite craft material springs to mind – the humble Toilet Paper Roll. 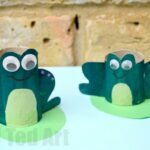 We ADORE Toilet Paper Crafts for Kids. 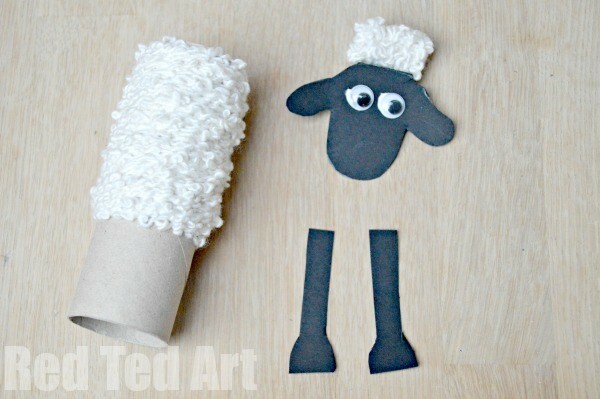 Ah yes, so humble, so plentiful and yet so versatile too – we bring our Shaun the Sheep TP Roll Craft!! 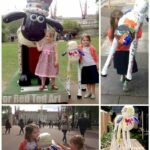 Be sure to read all the way to the end – where we share our thoughts on the Shaun the Sheep Movie, as well as some photos of our fab day at the Movie Premier! 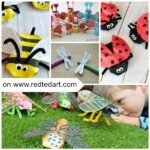 Note this is a sponsored post – but I love love love this craft regardless!! 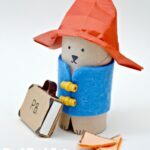 (And whilst you are there, check out all our other TP Roll Crafts – including our oh so cute Paddington Bear!). *We happened to have some fluffy textured wool. Plain white/ cream wool should look nice too! 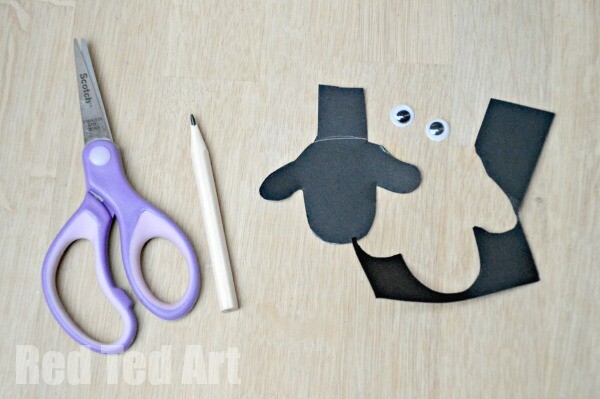 We started off by cutting out a Shaun the Sheep “head shape”. We kept a little rectangular bit at the top of the head – this will hold his fluffy bit of head wool in place in a moment. 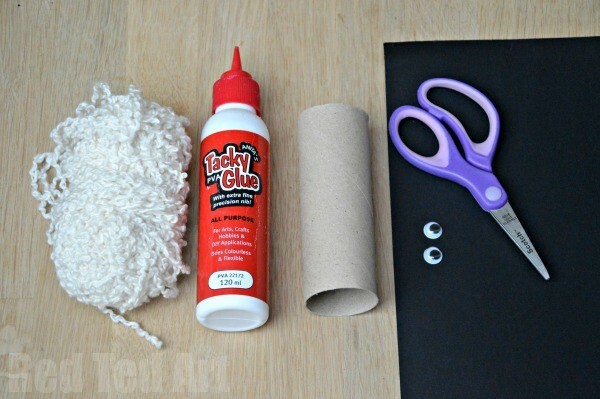 Wrap some wool around a rectangular piece of card. 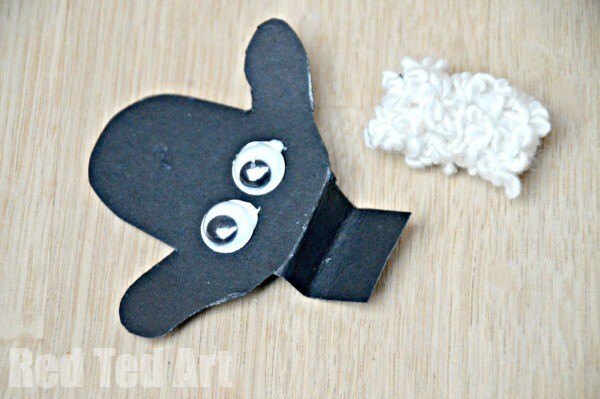 Bend the piece of card on top of Shaun the Sheeps head, into a “step” and stick the woolly piece in place. 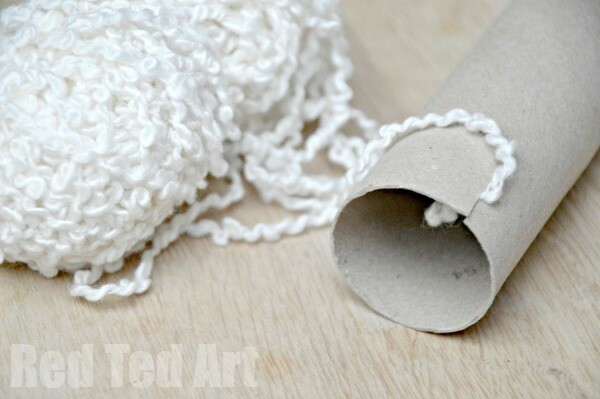 Cut a little slot into you TP roll and tuck some wool in. 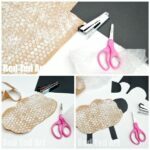 Then start wrapping your wool. We wrapped the wool to around 2/3 of the way – as we need some space for the legs. Cut some legs out of the black card. Tuck them under the wool.. and wrap some more wool round to secure in place. Glue your head in place. Then cut out some arms.. and again, tuck them in under the wool. 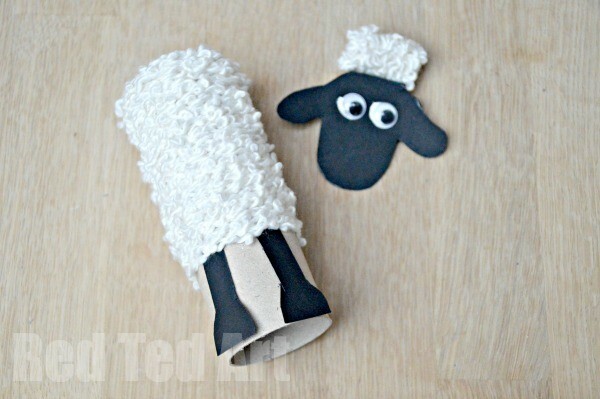 Ta-da your easy peasy TP Roll Shaun the Sheep Craft is finished! Brilliant. Now make a whole heard of them!! 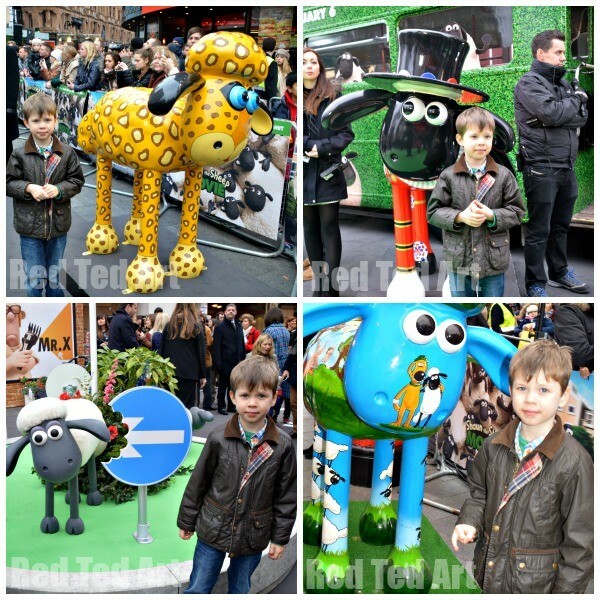 As to Shaun the Sheep the Movie: We had great fun checking all the Shaun the Sheep statues. 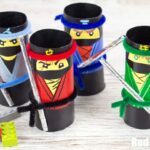 So fun to see them in all the different designs. The place was buzzing.. and much to our excitement, we even got to see Justin Fletcher (aka Mr Tumble to British kids!). Well, as great Shaun the Sheep fans, we LOVED it!!! 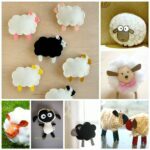 If you are familiar with the lovable character that Shaun the Sheep is and you like his antics, you will love the movie. It contains all the Shaun the Sheep usual – the dog, that is **trying** to keep order, the naught pigs, that are up to mischief and the farmer, that is just trying to get his job done. The story is about how Shaun gets a little bored with the daily routine of farm life and begins to dream about a little break. In order for that to happen, they need to distract the Farmer… they come up with a clever plot to get the Farmer to have a sleep in the old caravan. But then the caravan somehow works itself loose and the Farmer rolls off and disappears into the distance. Soon chaos descends onto the farm and Shaun realises that they need to get the Farmer back. But it isn’t as easy as hoped. 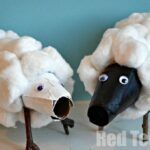 Shaun and his friends encounter an adventure on their quest to restore order…. Great family fun, full of clever jokes and excitement. A great “must see” film. Foarte ingenios.Voi face si eu cu prescolarii mei la gradinita.Multumesc!